Subaru have always worked to make the best all-round performing cars. 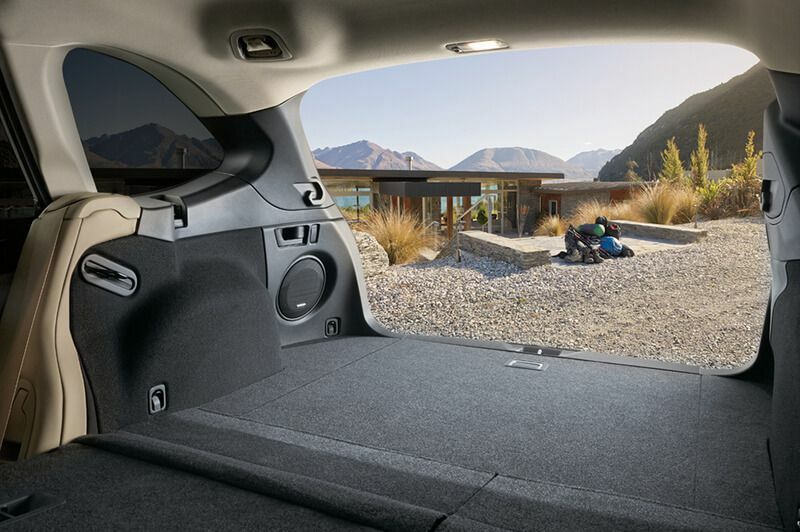 The new 2015 Subaru Outback is the best example of this with the perfect combination of urban comfort and off-road capability, whether it’s for your daily commute or the weekend family road trip across Australiana. Under the bonnet lies the boxer engine powerplant, which comes in 2.5-litre petrol, 3.6-litre petrol, or 2.0-litre turbocharged diesel. Each of these engines has different characteristics, which are suited to different types of driving. The 2.5-litre petrol produces 129kW of power at 5,800 RPM and 235Nm of torque at 4,000RPM. The 3.6-litre petrol engine produces 191kW at 6,000RPM and 350Nm at 4,400RPM for smooth power delivery, and has been partnered with Subaru’s Lineartronic® Continuously Variable Transmission (CVT) for the first time ever. In addition the petrol engine variants have great fuel efficiency at only 7.3-litre/100km and 9.9-litre/100km respectively. The 2.0-litre turbocharged diesel engine gives the torque and responsiveness great turbo engines are renowned for, producing 110kW of power at 3,600RPM and 350Nm of torque at 1,600 – 2800RPM. With a six-speed manual transmission it has great fuel efficiency at 5.7-litre/100km, and coupled with the Lineartronic® CVT it has an impressive fuel economy of 6.3-litre/100km. Along with Symmetrical All-Wheel Drive (SAWD), the new Outback introduces Lineartronic® CVT which keeps the engine at its optimum power and torque range and makes gear changes almost completely unnoticeable. The SAWD system gives the balanced handling required when towing along the highway, or driving across rough terrain by delivering constant power to all four wheels, and 213mm of ground clearance also makes navigating rough terrain much smoother. 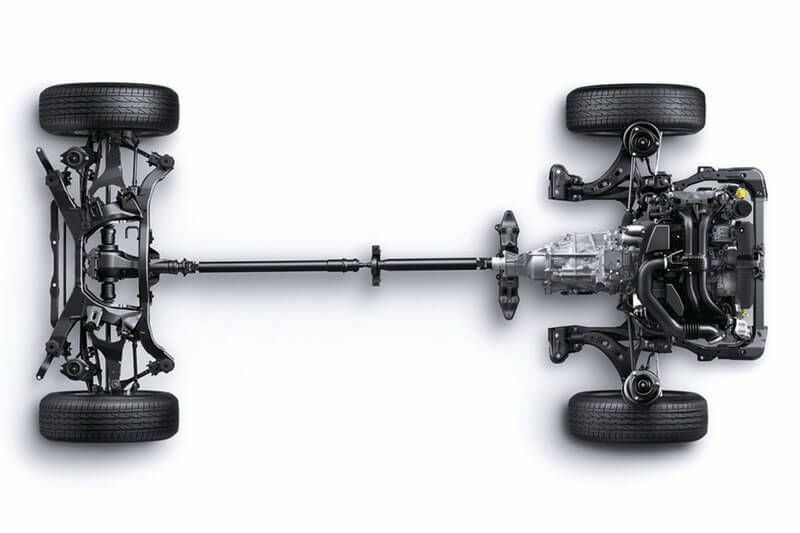 Plus, an improved steering ratio of 14:1 degrees makes driving smoother and more precise. 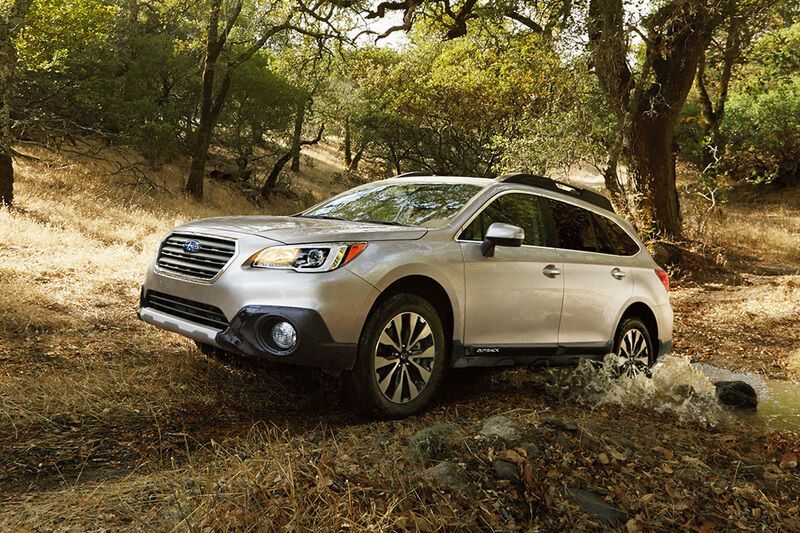 A new addition to the electronics package is the Outback’s all-new X-Mode system, which improves upon the Symmetrical All-Wheel Drive System to provide more traction and a smoother ride when you’re confronted with difficult terrain. 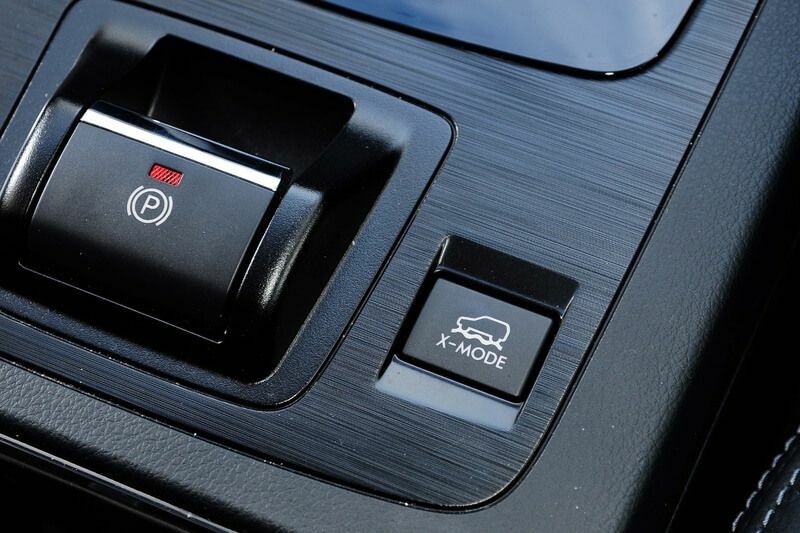 X-Mode is activated at the push of a button and it works to prevent slip by reducing unwanted rises in engine RPMs, as well as optimising the transmission to deliver maximum torque with minimum shifting. It also monitors each wheel’s speed at all times to better control slip and drive up ascends more safely. 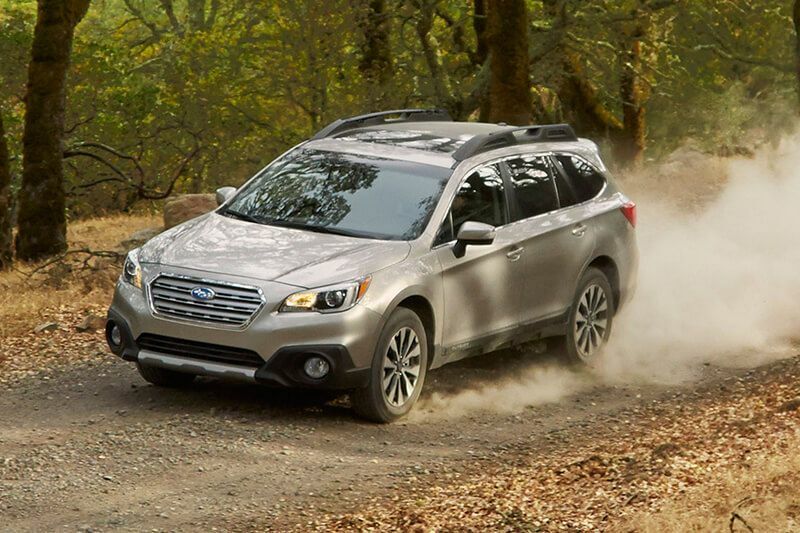 Subaru’s Hill Descent Control feature is linked to X-Mode and keeps the Outback’s speed stable on downhill terrain. It automatically modulates the brakes when manoeuvring downhill to maintain control of vehicle speed, but keeps the speed constant even if you aren’t applying the brake pedal. It’s perfect for snowy roads or gravel-covered downhill slopes, which require the most braking skill to navigate down safely. With the help of the X-Mode electronic system, whatever driving skill level you are, you can now drive safely on challenging terrain. 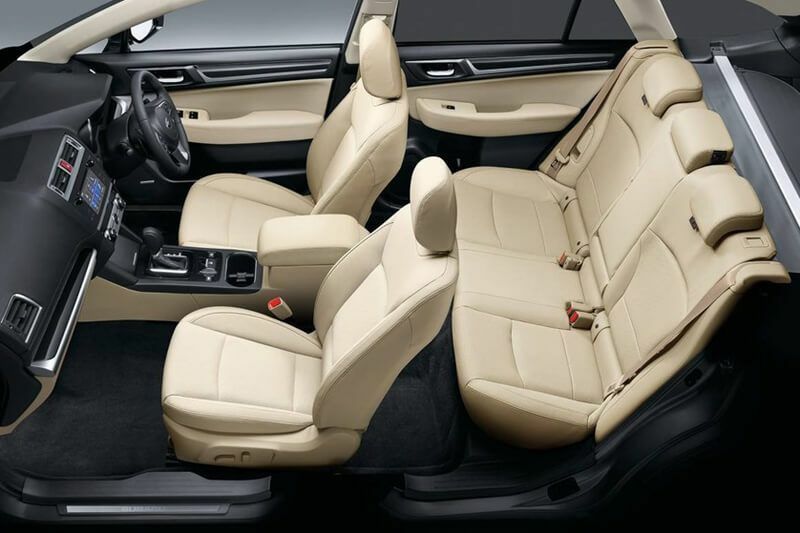 You’ll be pleasantly surprised when you experience the new interior of the 2015 Outback. Noise, Vibration and Hardness (NVH) has been improved by 10%, and the cabin is more spacious too. It’s wider with 42mm more shoulder space, 43mm more elbow room, 35mm more hip space and an extra 10mm between the front seats. And thanks to refinements in the profile of the front seat backs, there’s more leg room for the rear passengers as well. Plus, getting in and out of the Outback is much easier with the doors opening wider. Cargo space has also been increased by 22 litres up to 512 litres total, and can be made bigger by folding down the rear seats. Infotainment is covered by an integrated touch screen on the dash, with audio through a six-speaker system or a 12-speaker Harman/Kardon system. Packed with safety features, the 2015 Outback incorporates Subaru’s EyeSight® Driver Assist System across the Outback petrol range, which is Subaru’s way of keeping you safe by adding another pair of eyes on the road. 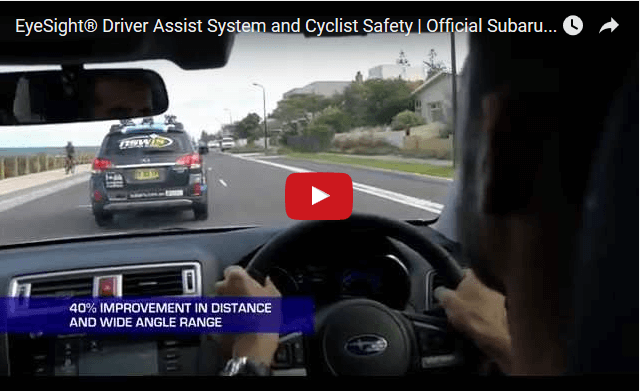 It works much like our own eyes do by using two cameras mounted at the top of the windscreen that monitor the surrounding environment in 3D and apply a range of features like Pre-Collision Steering Assist, Adaptive Cruise Control, Lane Departure Warning, Lead Vehicle Start Alert, Pre-Collision Brake Assist and Pre-Collision Throttle Management among other assists to help or warn you when danger occurs around you. Added passive safety features include an improved chassis which is reinforced for better impact absorption and crash safety, while seven SRS airbags – front, side, curtain and driver’s knee airbags – give extra protection to you and your passengers. Last edited by motorculture; 12-01-2016 at 01:40 PM.